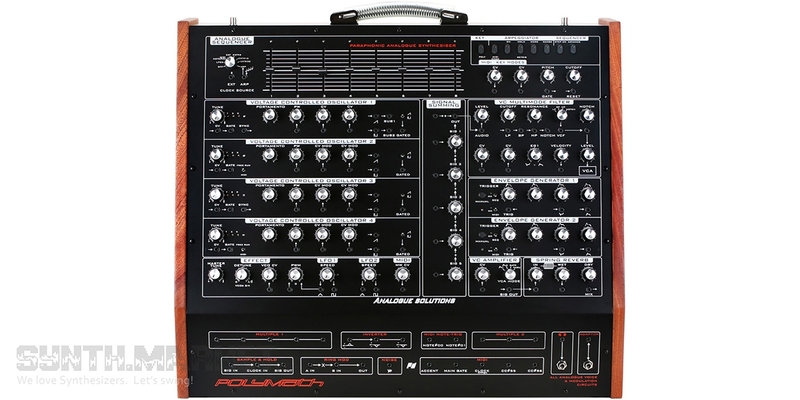 Polymath is a classic representative of semi modular synthesizers and, in this case, it has more functionality options than many fixed modular systems do, and of course the cost corresponds the capabilities. This paraphonic keyboardless synthesizer, i.e. an instrument that has 4 VCOs and an analog filter (VCF) common to all oscillators, an envelope generator (ADSR EG), an attenuator (VCA). Thus, you can set up oscillators separately and have 4 voices, or put them in unison with or without detune, but after the oscillator stage you will have a common sound path for all voices. 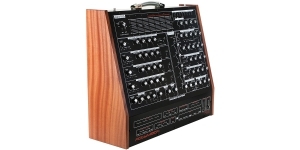 This is done to minimize the size and weight, as well as to keep the price adequate, although minimizing and keeping has nothing to do with this synthesizer - the module sports excellent abilities and costs a staggering $4,000. Now that you know the price, let's move on to the functionality and try to convince you that the price tag is justified. 4 analog oscillators require about 20 minutes to warm-up in order to give out basic sound waves of amazing quality - sawtooth wave, rectangular wave, rectangular with PWM. 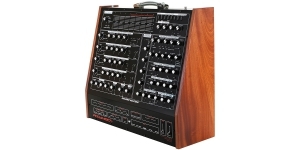 The instrument uses a multimode filter with the Oberheim SEM architecture (LPF, HPF, BPF, BRF/Notch), though it doesn’t copy it, and features control via CV. It also provides the ability to process an external source waveform through the filter. Polymath has 2 LFOs, sample&hold (S&H), 2 ADSR envelope generators, an 8-step sequencer with slider control, a basic arpeggiator, portamento, extensive modulation capabilities and full control of all structural elements via CV/Gate, and also built-in MIDI-CV converter. In conclusion, we add that this instrument is hand made in the UK, comes with a set of patch cables and additional accessories, for example custom-made wooden sidewalls from Lamond Design. Should you pay for it 2 prices of Arturia MatrixBrute, which in its own way is rich in features, but does not have such rich control via CV, and also has a decent quality – you decide for yourself. You can listen to the sounds by clicking on the "Videos". 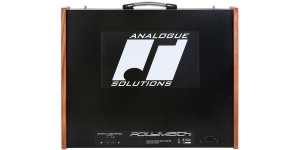 In our opinion this module will suit your studio perfectly as the main block of the developed modular system, of course, if you are willing to splash out on the music gear. NAMM 2017 took place in Anaheim again keeping its status of the most valuable venue in the world of music gear. 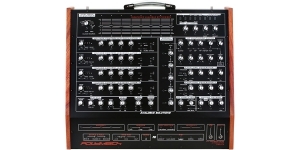 Tens of thousands visitors familiarized themselves with all the synths, pianos, guitars, drums, studio and DJ equipment and might have already fallen in love with them and some of them might become legendary. Some day.